Are you looking for a reliable Rank Tracker that would also produce stunning reports? 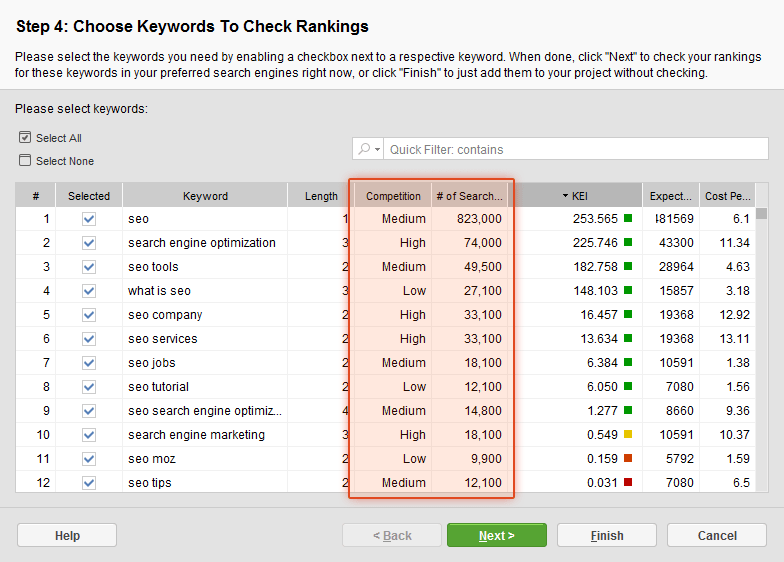 -Check out the Keyword Difficulty feature that allows you to quickly assess how difficult a particular keyword is. Now, what about SEO reports? All Rank Tracker reports can be white-labeled, branded with a logoyour corporate colors, generated on auto-pilot, automatically emailed to clients, uploaded to a website or uploaded to SEO PowerSuite Cloud and give you shareable link. Still thinking? Try the Free version of Rank Tracker completely free of charge today or get the Enterprise edition covered with a 30-day money-back guarantee! - New Keyword Sandbox module has been added to Keyword Research; - New feature: run scheduled tasks only for project records that are marked with specific tags; - New feature: pause and resume any task; auto-save a project when your scheduled task is completed. seo tool, search engine optimization software, rank, rankings, search engine rank, search engine rankings, rank checker, rank check, monitor, promote, track, check Rank Tracker is a powerful rank tracker and a valuable keyword research tool. It tracks rankings in 300+ local and global SEs, compares site ranks across multiple sites, produces eye-candy rankings reports and suggests new keywords to rank high for!